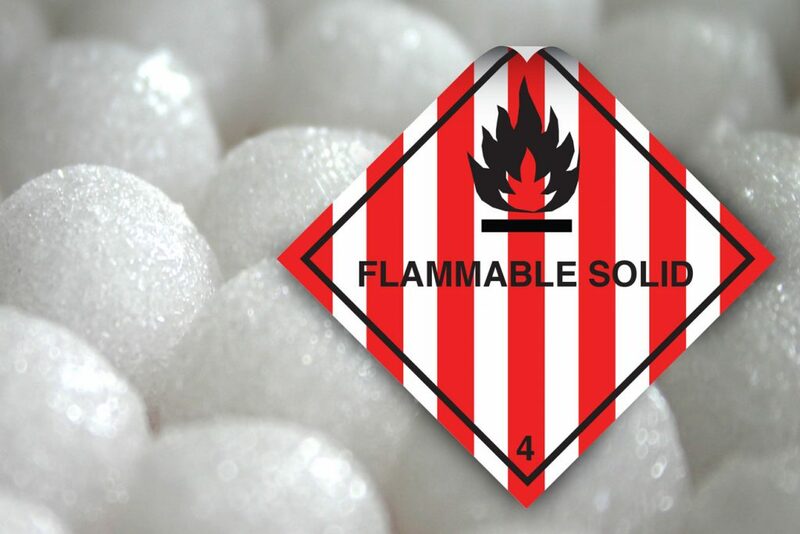 Class 4 labels are used for marking and identifying Flammable Solid substances during transportation. WHAT ARE CLASS 4 Dangerous Goods? Class 4 deals with substances, other than those classified as explosives, which under conditions of transport, are readily combustile or may cause or contribute to a fire through friction. The Class 4.1 labels for packages must be at least 100 x 100mm, from edge to edge, and set at an angle of 45°. The label must show a black flame in the top corner and have seven red vertical stripes on a white background. A dotted outer boundary must indicate the edges of the labels (unless it is being applied on a background of contrasting colour). The labels must show an inner 2mm border that is 5mm away from the edge of the labels. The class number ‘4’ must be shown in the bottom corner and be in text at least 12mm high. The Class 4.1 placard is used for cargo transport units such as freight containers and road/rail tanker vehicles. Class 4.1 placards must be at least 250mm x 250mm, from edge to edge, and set at an angle of 45°. The placard must show a dotted outer boundary line (unless it is being applied on a background of contrasting colour). 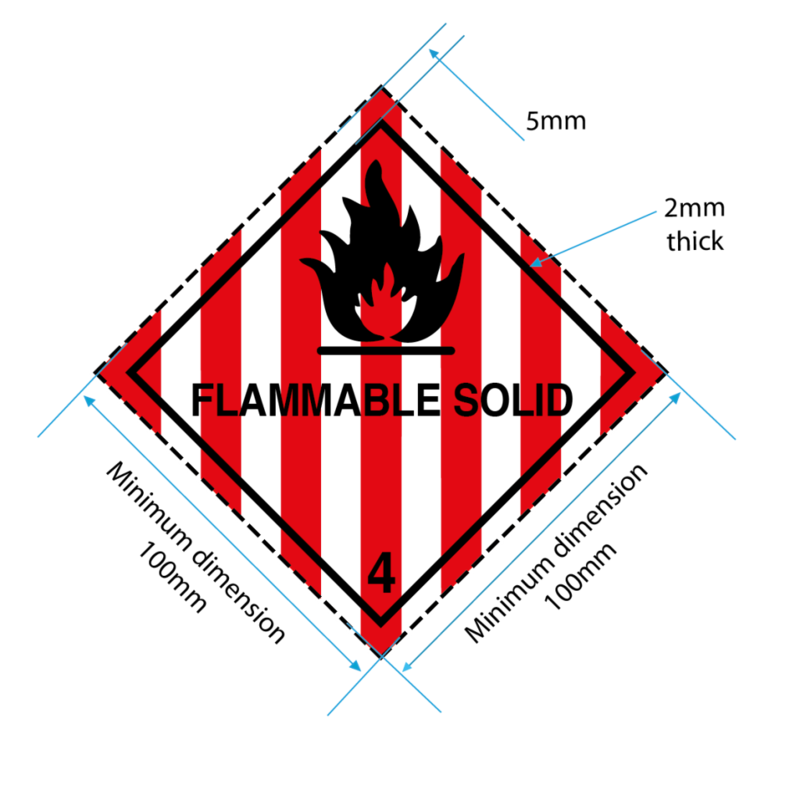 The flammable symbol must be shown in the top half of the label and the class number ‘4’ must be shown in the bottom corner in text at least 25mm high. There is no specification for the thickness of the inner line, as yet, but there must be a gap of 12.5mm between this and the outer dotted border or the outer edge of the label. We manufacture Class 4 labels at 101mm x 101mm on rolls of 250, and our Class 4 placards, for use in international transportation, are supplied at 250x250mm. All labels are fully compatible with IATA/ ICAO, UN ADR/RID and IMDG/IMO requirements.